Le Salaire De La Peur ( English title: The Wages Of Fear) is a 1953 French-Italian drama film directed by the great french movie-maker Henri-Georges Clouzot, starring Yves Montand, Charles Vanel, Folco Lulli, Peter Van Eyck and Véra Clouzot (director’s wife). It is based on the 1950 French novel Le salaire de la peur (lit. “The Salary of Fear”) by Georges Arnaud. When a Mexican oil well owned by an American company catches fire, the company hires four European men, down on their luck, to drive two trucks over mountain dirt roads, loaded with nitroglycerine needed to extinguish the flames. The film brought Henri-George Clouzot international fame, and allowed him to direct the thriller Les Diaboliques. The film was a huge success with the public gaining 6,944,306 admissions in France where it was the 4th highest earning film of the year. The film was accused of anti-Americanism, due to the negative portrayal of the American oil company SOC. As a result, several scenes were cut for the U.S. release. 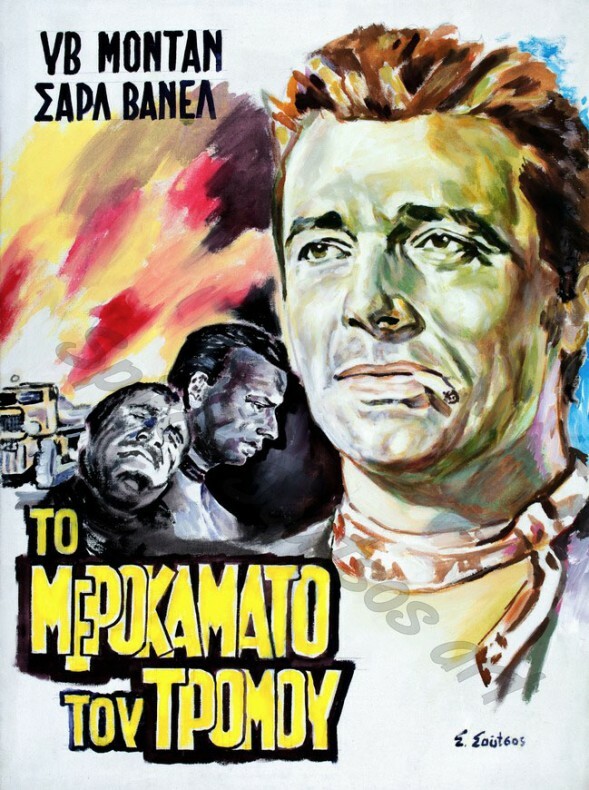 In 1999, the Criterion Collection managed the restoration of the movie, releasing a DVD which included 21 minutes of film which had been removed for the U.S. version.